Sony has revealed staggering numbers for its Q1 Financial Year 2018 results. As of June 30, 2018, 82.2 million PlayStation 4 consoles have been shipped worldwide. By the end of 2018, the company expects the PS4 to outsell the PS3’s lifetime sales, which amount to approximately 83.8 million units. Such an accomplishment in so little time may seem ambitious, but this year’s been good to the PlayStation 4. In the last quarter, Sony shipped 3.2 million PS4 consoles. Undoubtedly, this growth came courtesy of God of War’s April 2018 launch. Soon after Kratos returned, Sony proudly announced God of War as the console’s fastest-selling exclusive. Despite the good news, there has been a small decline in PS4 shipments, compared to last year’s numbers. Q1 shipments for 2018 saw a 100,000 unit decrease from Q1 2017. PlayStation Plus has also suffered of late, dropping from 34.2 million subscribes to 33.9 million. About 300,000 chose not to renew their subscriptions, which is still a notable decrease. This loss could probably be attributed to the summer months being barren when it comes to new game releases. 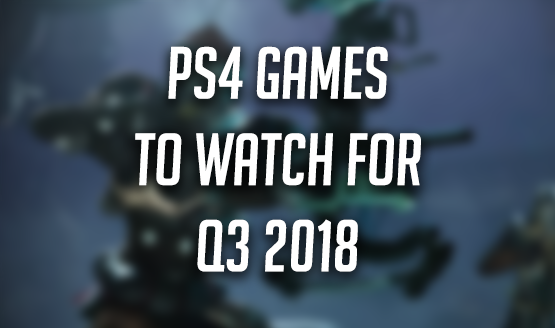 Sales are expected to be significantly higher than the April forecast primarily due to higher-than-expected PlayStation 4 (“PS4”) software sales including sales through the network, the impact of foreign exchange rates, as well as an expected increase in PS4 hardware unit sales. The forecast for operating income is expected to be significantly higher than the April forecast primarily due to the impact of the above-mentioned increase in sales. Sony’s citation of “higher-than-expected” software sales no doubt referenced the exceptional milestones of God of War. Detroit: Become Human’s meteoric success likely factored in, as well. The same could be said of Marvel’s Spider-Man, which recently went gold and will launch this coming September 7th. The latter’s release is expected to move PS4s similar to God of War before it.